That statistic underscored what Shanahan said was a “contested” margin of U.S. dominance in space, one he hopes to grow by standing up a new Space Force. “My goal, and the department’s goal, is to grow what we call our margin of dominance in space. This margin is now contested, and our legacy systems [are] not designed to operate in this environment,” he said, speaking to an audience at the Center for Strategic and International Studies (CSIS). He said Russia and China already treat space as a war-fighting domain. “If our satellites were attacked, we’d be blind, deaf, and impotent before we even knew what hit us. Everything from ATM machines to Zumwalt destroyers would be paralyzed,” he said. “If you’re faced with threats like this, you say ‘yes’ to change. And so we make a strategic choice to organize to ensure American dominance in space for decades,” he added. Last week, the Pentagon unveiled its fiscal year 2020 budget request of $713 billion, including $14.1 billion for space operations. Shanahan said the Pentagon envisions a new service within the Air Force that would be known as the Space Force, a combatant command known as U.S. Space Command, and a development agency known as Space Development Agency. “To move forward effectively, space needs an advocate,” Shanahan said. “That advocate will be the Space Force.” The Space Force would have an undersecretary for space, as well as a chief of staff. Shanahan said it would employ between 15,000 and 20.000 people and have a budget the size of U.S. Special Operations Command. The Space Development Agency would be the “pacing element,” he said. “Our space presence will be enabled by new capabilities delivered by the SDA,” he said. Shanahan said the Pentagon will have to harness advancements American companies are poised to make in space over the next decade. “We need to leverage this commercial space investment and tap into the advancements to help solve the next generation of war-fighting challenges,” he said. The space industry is undergoing “a seismic transition” fueled by the convergence of commercial and military capabilities, decreasing launch costs, and an entrepreneur driven innovation, he said. “During this state of evolution, we can’t afford to lose our margin of dominance. What is vital is that we protect a $19 trillion economy and the systems our military runs on,” he said. 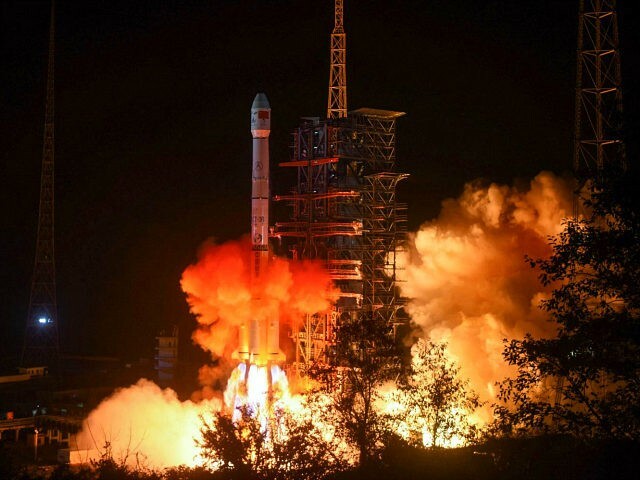 “We need one organization in the lead to enable a department solution The Space Force is a critical part of ensuring we dominate in an era of great power competition” from China and Russia, he said. Shanahan cited the threat of hypersonic missiles from China and Russia as a particular concern, which the U.S. does not yet have the capability to defend against. Pentagon officials say space-based sensors would help the U.S. detect a hypersonic missile threat from anywhere in the world. “We put together a roadmap and the roadmap was about how do we leverage space to reduce threats to the United States. So the first element on the roadmap is how do we counter hypersonics that are a risk to our men and women and to the homeland?” he said. The 2020 budget requests $157.4 million for the Missile Defense Agency for hypersonic missile defense. “If war breaks out tomorrow, we’re probably not going to kill hypersonic boost glide missiles,” Under Secretary of Defense for Research and Engineering Michael Griffin said Wednesday at another event, according to Breaking Defense. The Pentagon is developing its hypersonic offensive capabilities as well. Experts at a Hudson Institute event last week said the best defense could be a good offense. The U.S. could develop its own hypersonic weapons to force China to spend more on air defense, they said. “Every bit they spend on air defenses means they have less money to spend on strike forces,” said Tom Karako, a senior fellow at CSIS.